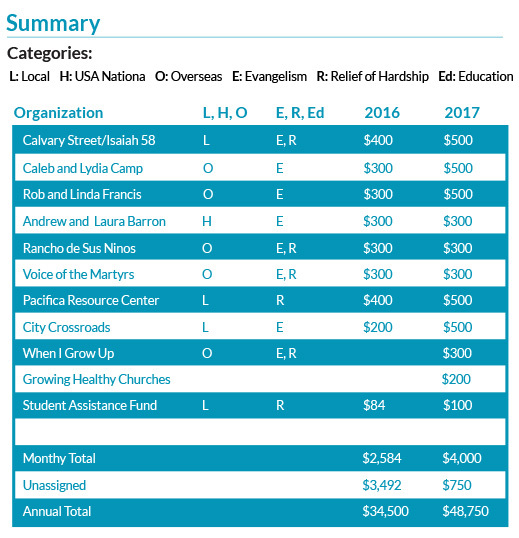 We seek to establish a balanced “portfolio” of giving to include works at home and overseas, local and national programs, evangelism and relief of hardship. We seek organizations and initiatives that are in sympathy with our basis of faith and our desire to see God glorified and the gospel preached even if direct evangelism is not part of their operation. As far as it is possible we focus on a small number of causes so as to maximize the impact of our giving. We also seek out causes where we can have personal contact, build relationships and have regular participation in our church life. The Wong family. A ministry reaching out to the homeless and hungry in the most needy part of San Francisco with the gospel and food. Members of the church family participate regularly in their work. They send a monthly newsletter with multiple copies for the congregation. This is a youth outreach ministry in down town San Francisco (Sixth St). They provide a safe place and all sorts of wonderful activities for kids living in the most needy part of our inner city. The new Executive Director Javier Reyes visited the church in March to share about the ministry. The Barron Family, Andrew and Laura direct the work of Jews for Jesus in Canada. They have three children the oldest of which has Down’s syndrome but are a dynamic and innovative couple they have seen the work in Canada expand opening a new office in Montreal. They were the pioneers of the work in South Africa also where they retain ties. Both visit our church regularly. An ongoing outreach to the most needy in our city. During the past few years we have built stronger links with this outreach, donating food on a number of occasions. Members of the family have volunteered on distribution projects and a number participated in repair and painting the center with “Rebuilding Together” a couple of years ago. They have an enthusiastic director Anita Rees and she is actively seeking new ways to help those in need. Along with St Andrew, we are considering how we might use our church building as part of a roaming shelter program. Steve and Cathy Horner. 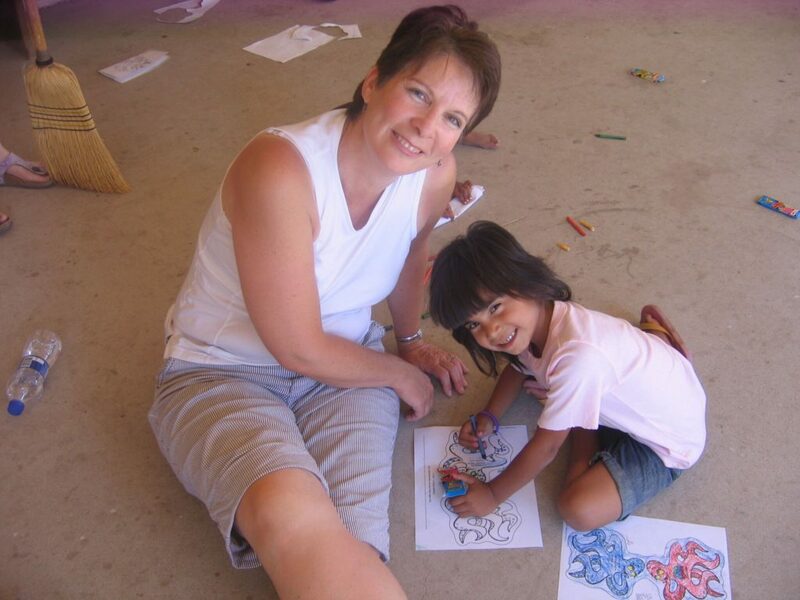 A number of the church family participated in a missions trips to this ministry in the past. And we are planning future trips to enable more members of the church family to experience the ministry first hand. Arising from the work of Richard Wurmbrand this, interdenominational organization has a vision for aiding Christians around the world who are being persecuted for their faith in Christ, fulfilling the Great Commission, and educating the world about the ongoing persecution of Christians.